We offer a full service automotive repair shop that is capable of providing preventative maintenance, and completing major and minor repairs. At Maas Radiator we pride ourselves on being one of the area’s most dependable and trustworthy automotive repair shops. Unlike other shops in the area, we have been around for since 1934 so we have many years of experience providing expert repair advice for your vehicle. 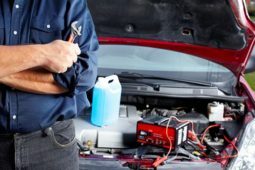 While we specialize in heating, air conditioning and cooling system repairs and maintenance we offer many other repair capabilities like brakes, suspension, CV axles, front end work, water pumps, heater cores, some computer diagnostics and much more. In fact, we perform nearly the same complete service offered by most car dealerships and we work on all makes and all models including some semi trucks. WE ALWAYS PROVIDE A FREE ESTIMATE BEFORE MAKING REPAIRS! If your car is having issues with its cooling system why not take it to the only shop with over 100 years of combined cooling system sales and service experience? No one else has the experience we have when it comes to cooling systems. We can provide routine maintenance like coolant flushes and changing antifreeze or complete cooling system repairs like water pump or radiator replacement. For many years we have been the leader in air conditioning system repairs and maintenance. 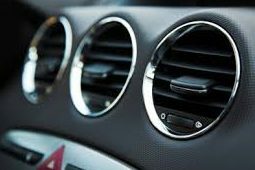 When it starts to warm up outside, we have the knowledge and ability to keep the inside of your car cool. We can simply evacuate and recharge your A/C, repair leaks, or completely replace all the vital components of the system for a complete and quality repair every time. In fact, we always provide free leak checks after every A/C job. 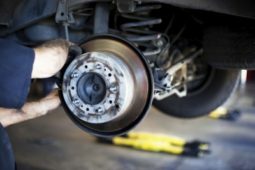 Many times the vehicle components under your car go un-noticed and therefore un-repaired. When your car is at our shop we provide a multi-point inspection to ensure those components are all in working order and if not, we will inform you of the necessary repairs and provide an estimate. 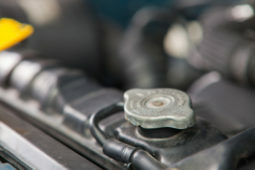 We will service nearly all undercar components. From coolant flushes and fluid top-offs to oil changes and tire rotations, we are here to help you keep up on routine maintenance for your car. In fact, we will help you keep track of what is necessary and when it needs completed so nothing goes unattended and your car performs well when you need it most. Walk In Appointments Always Welcome! If we are not able to get your car serviced right away, we will be more than happy to schedule an appointment for a time that is convenient for you. to confirm availability of your requested date and then set up a time for your service.